The Primitive Freemasonry of Antiquity. 11. The Spurious Freemasonry of Antiquity. 13. The Union of Speculative and Operative Masonry at the Temple of Solomon. 22. The Travelling Freemasons of the Middle Ages. 24. Disseverance of the Operative Element. 25. The System of Symbolic Instruction. 27. The Speculative Science and the Operative Art. 29. The Symbolism of Solomon's Temple. 32. The Form of the Lodge. 37. The Officers of a Lodge. 39. The Point within a Circle. 40. The Covering of the Lodge. 42. The Rite of Discalceation. 45. The Rite of Investiture. 47. The Symbolism of the Gloves. 50. The Rite of Circumambulation. 52. The Rite of Intrusting, and the Symbolism of Light. 54. Symbolism of the Corner-stone. 58. 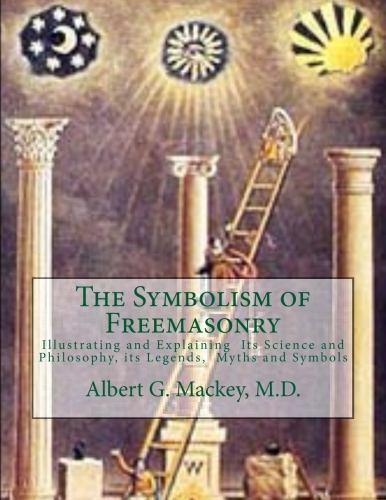 The Legends of Freemasonry. 72. The Legend of the Winding Stairs. 78. The Legend of the Third Degree. 83. The Sprig of Acacia. 90. The Symbolism of Labor. 95. The Stone of Foundation. 102.